You know when your staple clothing items are due to be replaced; everything that was once black starts fading and your whites go grey, when those leggings start going baggy at the knees and your pyjamas have seen better days it's time for a big sort out. I recently pulled all of my basic/ staple items out and went through everything, a lot of it didn't make the cut to be put back into my wardrobe and so I re-ordered and replaced everything I needed. I thought I'd share with you some of the places I found that are great for these basic clothing items- lets face it no-one wants to spend a fortune on plain t-shirts and things that are only ever used for layering and so I think it's best to splash the cash on more exciting things instead (like pretty dresses and shoes... ooh I can't get enough of them). Although Primark is probably the ultimate place to get these kinds of things as we all know they don't have an online shop, which is just rubbish when you don't have time to get into town or don't fancy braving the queues. This is like an underwear one-stop-shop, there are so many different styles and they're so inexpensive. I literally live in these bra/vest crop tops when I'm relaxing at home- they might not be the most sultry of bras but my god they're comfy. If you're still lounging around in a lacy underwired number then take my advice and invest in something like this- comfort awaits! You might associate Asda Direct with things like electronics and kitchen appliances, but they sell clothing items too. I buy loads of my pyjamas from here; I'm actually quite fussy when it comes to my pjs, I like them to be really soft and comfy and anything that rides up or falls down when I'm trying to get some good chilling out time in just wont do. I have at least five pairs of these pyjama bottoms, they might not look like much but let me tell you they're the king of comfy bottoms. They wash well, are warm in winter/ cool in summer, soft and go with any pyjama top. LOVE. This is the clothing line by Tesco, everything is really inexpensive and again it's good for your staple pieces. I recently bought a load of their plain black leggings and these vest tops, they're ideal for layering and the lace trim along the top is really pretty and is a bit different from your standard black vest. They're only a pound more than what you'd pay in Primark and I'd say the quality of these are a bit nicer. My first ever job was at Matalan- I'd just turned sixteen and worked there part time while I was doing my GCSE's. I hated it! I didn't go back in there for years as I didn't feel like revisiting memories of pairing up hundreds of muddled shoes, but I'm quite partial to having a nosey on the Matalan site these days. Everyone needs these plain t-shirts in their wardrobe, and what a steal at £3. The only thing that annoys me is that sometimes I spot an amazing bargain on there just to click on it and see that there's only one lonely size left in stock. And you can bet it's never my size- typical! I wasn't going to mention this site because it's a bit of a weird one, but last week I ordered my boyfriend a load of these black jogging bottoms to wear to bed over the winter (he refuses to wear regular pyjamas and says they're stupid...ridiculous or what). When they arrived they were really nice quality and cheap as chips- perfect for bedtime. I can't even remember how I stumbled upon this site, but if you're looking for bog standard plain clothes for lounging about the place or sleeping in this is one to check out. 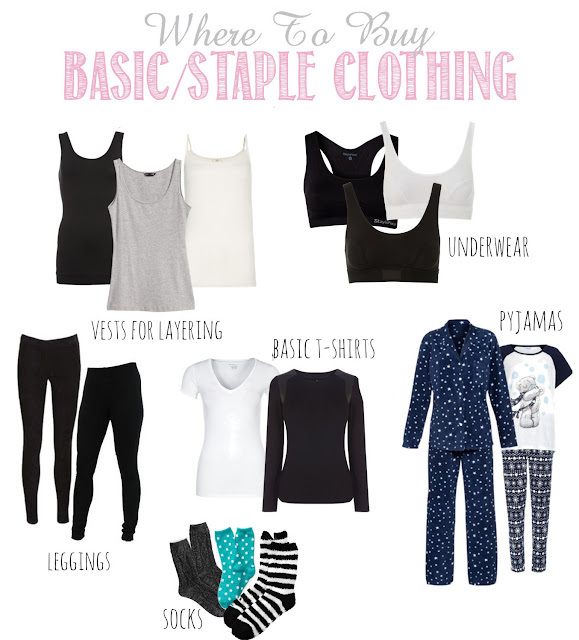 Where do you buy your basic clothing items from? 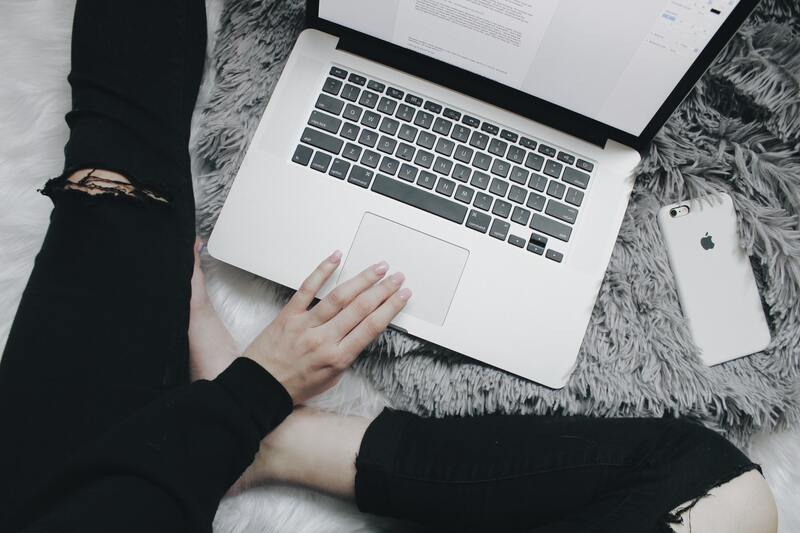 If you have any site recommendations let me know! love tesco clothing! especially their leggings just like you, I remember when I bought five for 3 pound in a major sale and unlike primark leggings, that havent ripped yet! I also love H&M for basics, you should try there. I don't know if they ship internationally or not, but I love going to Wet Seal for my basic t-shirts, cami's, and leggings. They have their 5 for $20 sale where you can mix and match the basics. I love them because they come in tons of different colors and are pretty cheap! Thank you for sharing! I totally need to invest in some new pjs. Thanks for reminding me. Great Post! I just bought a bunch of basics from Forever21, super cheap! I like those jammies, I'm so wishing for some comfy lounge jammies right this second! i am always looking for basic leggings, i will def check out these clothing sites! thanks Stacey! New look is great for essentials too! Bit more expensive, but at least they last a bit longer.